One born of a dragon bearing darkness and light. Shall rise to the heavens over the still lands. The moon's light eternal brings a promise to earth with bounty and grace. How do you know when a game just refuses to grow old? When it first came out in the States in 1991, but is still getting remakes done even today, for starters. Final Fantasy IV has four living versions Stateside right now, making it the most-remade Square-Enix game. Needless to say, we don't cover all the versions... yet... but CoN will provide to you the most robust information you can possibly find for the original Super Nintendo version, the re-release for Playstation, and the even newer Game Boy Advance iteration. We do it because we love you. And, of course, we love Final Fantasy IV (despite the fact that, well, it took us two years to assemble our brand new section); here, we've got another old school RPG that refuses to collect dust on a shelf. Final Fantasy IV is an excellent addition to the Final Fantasy series, with its crystals that need protecting, castles that house many a politician or monarch with a secret, mysteries that need solving, and, of course, magic. Not to mention the memorable characters, battles, and music from the game. We've got some hardtype-style games, we've got some easytype-style games, we've got weird hybrids, we've got it all in our Final Fantasy IV sideshow. 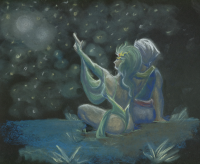 Many will tell you that Final Fantasy IV is near the pinnacle of the series, myself included; it remains well within my top three, personally, due to the skilled plot development and terrific music, especially given the fact that it's older than a good portion of the folks who come see us here. Anyway, within our CoN walls are pages upon pages covering everything you'd need to know about this game, and, of course, all the extra little bits that you've come to know and love us for. Welcome to the Caves of Narshe FF4 section. 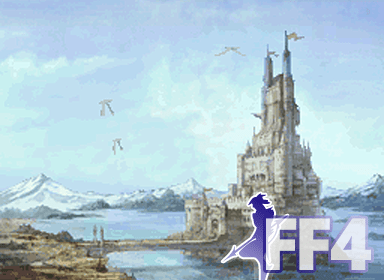 Please use the links provided to the side of the screen to view information and other FF4 related pages. Note: this printable version may not contain the entire contents of the full version. In particular, web forms are removed, and any links you could check for further information on the given data are not shown. You may check the URL at the top of this document for the full and up-to-date version.